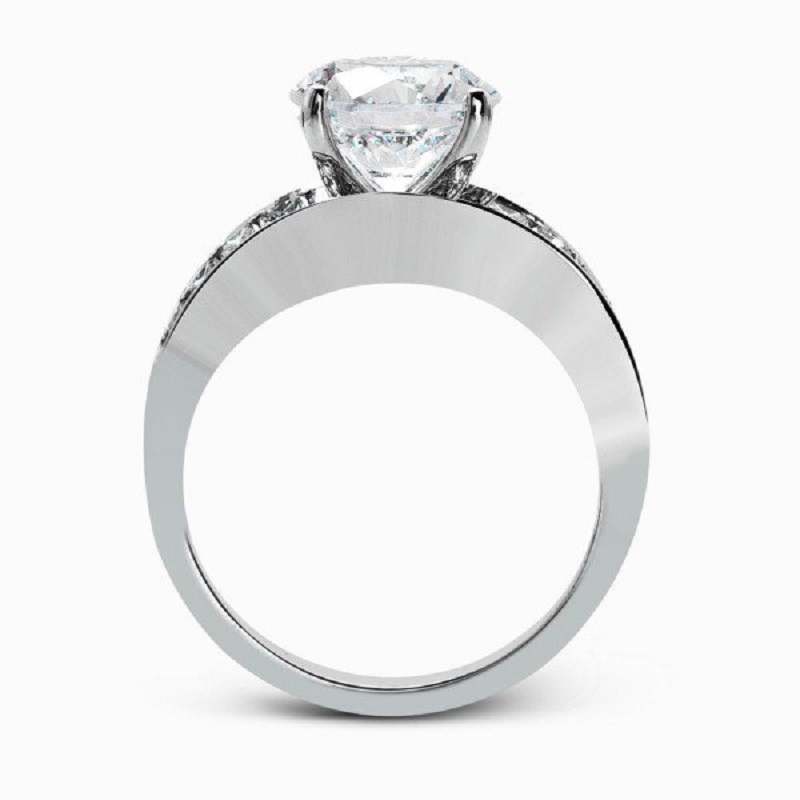 Diamond Details: Princess cut white diamonds and baguette white diamonds, of F color, VS2 clarity, weighing 3.54 carats total. 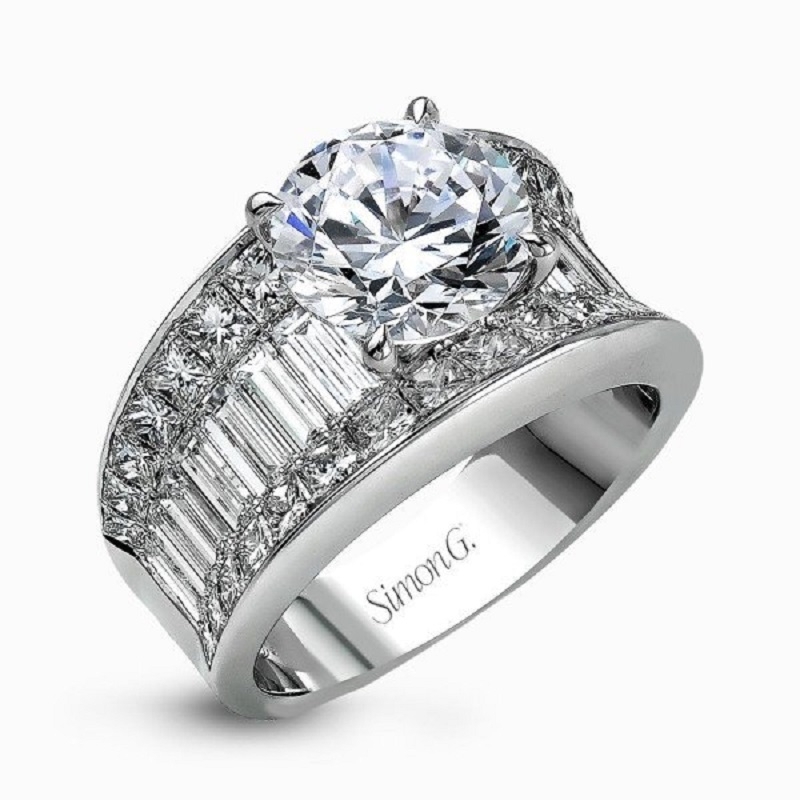 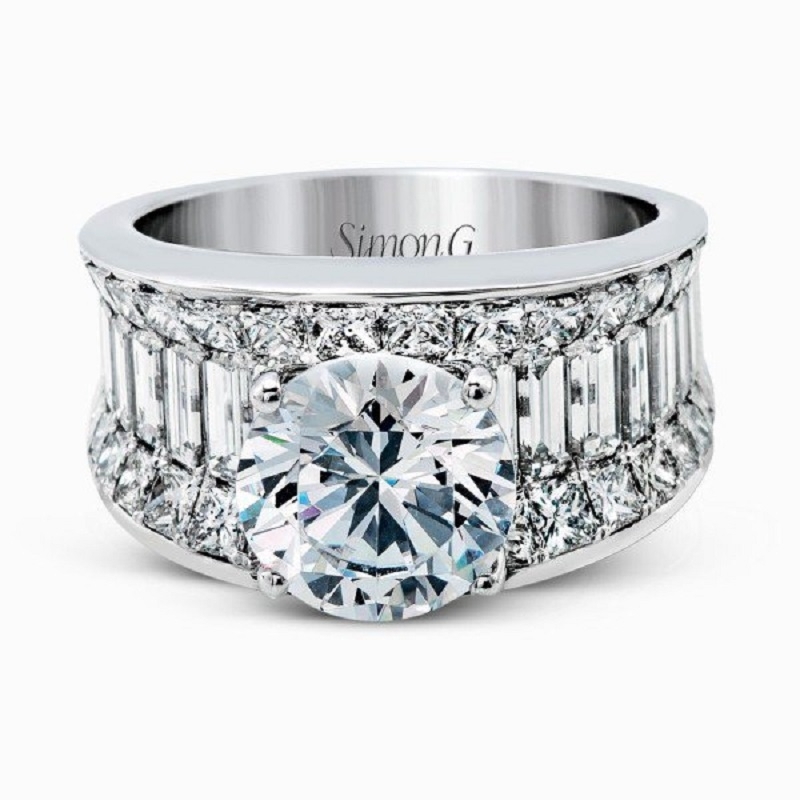 Ring Details: Simon G 18k white gold design engagement ring. This beautiful Simon G diamond and 18k white gold engagement ring features princess cut white diamonds and baguette white diamonds, of F color, VS2 clarity, weighing 3.54 carats total.